Recently was having a conversation with a Private Equity friend and was trying to explain the challenge that has captured my imagination and full attention, ie exits for software product startups in India. He felt that the data about the exit structural deficit that I was trying to point out felt too bearish to be true. My counter argument was that my intent is not to sound bearish but instead be a realist, after all acknowledgement of a problem is first step to solving one. Post that conversation I thought should put this data out publicly so that through crowdsourcing can at the very least improve my understanding if it is off by wide margins. Above data indicates that Israel was able to generate 1.8X of the money that went in while in India in the same period it was 0.2X. The right comparison is exits from 2012-2016 with VC investments from 2005-2009, iSPIRT report does that comparison but results are even less encouraging. Exits follow a power law distribution, however in India it seems like a power law’s power law. Not only is the volume of exit a challenge but also the structure, any ecosystem exits follow a typical power law. For every $1 bn exit, there are ten $100m deal, for every $100m there are hundred $10m deals. Top 7 deals in India account for ~$2.5b of the $4b in exit. About 250 of 391 deals total a deal volume of $97m which means the size of an acqui hire i.e in long tail is about 0.5m, which is inadequate even for an angel investor (in other ecosystem long tail is >$10 m, hence being referred to as power’s law power law). Lack of many $10-100m deal means there is a missing middle of the long tail. Anything in the data above that does not feel kosher ? iSPIRT M&A Connect program takes a multiyear view to design interventions that can address the middle and long tail of the market coordination challenge. India has fast emerged as the world’s second largest Internet market. Since 2012, nearly $15 billion has been invested in tech startups with over 300 M&A deals. However, a large percentage of deals (80%, 2014-Q3’16) were sub-$5M deals driven by acquihires and restructuring. Looking west to Israel and the US, it is clear that for a healthy technology product ecosystem, further acceleration in later stage M&A and buyouts is undeniably required. And with this very thesis in mind, iSPIRT, along with TiE Silicon Valley and Stanford University, organized the inaugural Startup Bridge India event on Dec 2, 2016, with the goal of fostering cross-border partnerships with Silicon Valley corporates to drive investments and/or acquisitions of domestic startups. The event was an important chapter in the history of India’s tech landscape for multiple reasons. For one, it was the first step in breaking down borders between Silicon Valley and India. It is no easy feat to gather the top BD and Corp Dev executives from the largest tech Silicon Valley giants all together under a single roof. But with representatives from 65 corporates meeting 28 startups driving 120 connections for partnerships and investment/acquisition discussions, the very fact that the doors were opened, some even knocked down, was a giant leap for the ecosystem. The second win – a powerful collaborative relationship between TiE Silicon Valley and iSPIRT – was one of breaking down barriers. The coming together of two impactful organizations driven by a similar vision so seamlessly to build a momentous event in ~10 weeks of planning was nothing short of inspirational, an affirmation of the power of the volunteer-driven model that iSPIRT has established itself upon. The third win, however, was arguably the most powerful – that of breaking down the BS among even the most experienced entrepreneurs in India. iSPIRT has long held a position of being an unbiased stakeholder, with the primary goal of driving positive change in the tech startup ecosystem. Mature entrepreneurs in India, historically big fish in a small pond, have long believed their systems, their pitches, their stories, had been tried, tested and proven. However, playing on the global stage is a whole new ball game and iSPIRT stepped in to break down the BS for entrepreneurs. StartUp Bridge India, with an NPS of 68%, was another valiant step towards putting the Indian startup ecosystem on the global map alongside mammoths like the US and Israel. Team Indus, an Indian startup working to land a rover on Mars, is India’s literal moonshot. Startup India, working to increase cross-border investments and M&A, was India’s figurative moonshot. And after Startup Bridge, it was clear, that this moonshop has a robust arm and is gaining an increasingly powerful momentum. Why Indian startup founders should think about M&A and not be shy about it ? Think about endgame, chess grandmasters do so to win. Studies point out that chess grandmasters visualize the chess board state few steps away to a ‘winning game’ and make moves based on memory pattern that can lead to that board state and thus help them win the game. 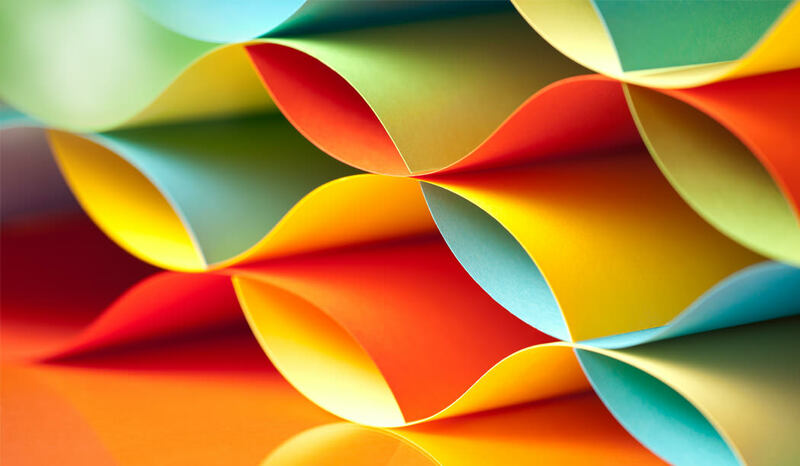 Many startups however operate in a game where the rules are dynamic and change unexpectedly. An unanticipated flood of competition could sweep in, or the ground gets shaken underneath because of a regulation or policy change. Due to such unpredictability most of the founder’s move is extremely tactical, the focus is in on surviving and not getting killed as opposed to planning to grow like rabbits. Data from 20 years of startups in US suggest mean time to exit is 4th and 6th year. This is simply because If investors don’t do that then they can’t return the capital to their own investors (i.e limited partners) within the 10 year fund cycle. On decade long VC scale, Indian ecosystem is quite young and thus historical data is not available to compare however similar forces broady apply. Also while scale can become large but technology market growth rates in India are not as fast the US. Add to this the fact there is no IPO market in India for the technology companies. Some efforts are underway to open it such as the new ITP platform by SEBI but nothing has kicked in practice. That makes M&A option all the more important to consider for an Indian startup founder. From limited data that is available about the Indian ecosystem we can that $14.5 billion of VC money has been invested in last 4 years and $2.5b of exits have happened in the same period spread over 300 deals. This ratio are still very skewed when compared to other ecosystem. A reason they don’t think about it is because they don’t know much about exits or the playbook involved in doing that. Second likely reason could be that advisors actively discourage founders from thinking about exits by labeling them opportunistic and not being a visionary founder. Paradoxically the right time to think about exits is exactly when an exit is not needed. $8B of venture investment went into Indian startups in 2015 alone! Four firms–Ola Cabs, Flipkart, Snapdeal, Paytm–accounted for 32% of these investments. However, on the M&A side, things have been slow. Since 2011, there have been approximately 190 transactions valued at a total of $2.3B (about $11M per deal), placing India way behind the U.S., Israel, and other startup ecosystems. I recently hosted a roundtable on M&A at Microsoft Ventures’ Think Next in Delhi, called “The Road to Startup Exits.” Our star panel consisted of Ashish Gupta(Helion Ventures), Deepak Gaur (SAIF Partners), and Abhishek Kumar (Snapdeal). Among a marquee audience of VCs, entrepreneurs, and senior execs from the industry, we discussed the present M&A scenario, its gaps, and the future. There is a slowdown in private markets globally, including in the U.S. and India. Valuations are expected to come down in 2016 and will cause grief for some investors, but the long term promise of India is in tact. In other words, there is no issue with fundamentally strong companies being built in India, but there is an issue with them being overvalued. This is a normal cycle for the startup/venture space: there will be several startups who will not survive the slowdown and will get integrated into other startups or corporates. A slowdown is actually good for the startups that survive – they can finally focus on getting their unit economics right, hiring the right talent and focus on what needs to be done to get to the next level. This also contributes to the ecosystem’s evolution, shaping the next waves of entrepreneurs and their offerings. Some recent examples of companies who had a solid team and business model, but that were unable to scale (subscale), are Qikwell (acquired by Practo for ~$50M), Exclusively (acquired by Myntra for their private label offerings), and Letsbuy (acquired by Flipkart). TaxiforSure’s (TFS) acquisition by Ola was about the power of financing–Ola had raised significantly more money than TFS, and at that point, TFS’s volume was still interesting for Ola and Uber, which justified Ola’s decision to acquire TFS. Large startups are more open to leveraging other startups and their offerings. For instance, Snapdeal has been a prolific acquirer of Indian startups (15-16 to date), primarily to plug their own gaps in terms of technologies, products or customers. For example, the product from Martmobi became the basis of Shopo, the C2C platform for Snapdeal. Freecharge was one of the fastest growing mobile wallets in the country and post-acquisition now has become Snapdeal’s payments business. Companies stay private much longer in the U.S. This will play out in India, too, and fewer companies will go for IPOs in coming years–and the ones who do might not consider doing it in India. The capacity of the India market to absorb large IPOs is restricted–there is limited float. Although regulations are becoming favourable, the India market today still has very stringent guidelines on public listing with very high levels of scrutiny and liability. Hence, listing a company in the U.S. is a lot more attractive, even for an Indian company. In summary, 2016 is expected to see a slowdown in the funding space both globally and in India, which in-turn will drive an uptick in the number of M&A transactions as companies who are unable to raise their next financing round will seek an exit option. iSPIRT, India’s software products think tank, SignalHill, technology focused M&A advisory boutique firm and Microsoft Ventures, accelerator program for high potential technology startups released the much-awaited 2015 India Technology Product M&A Industry Report. The report highlights key trends in the Indian technology M&A and funding landscape so far as well as predictions for M&A activity in the following year. According to the report, technology majors as well as large Indian ‘Unicorns’ are predicted to continue acquiring Indian technology product startups to fill technology gaps as well as talent requirements. Since 2011, there have been 190 M&A transactions involving Indian technology product companies, with a total estimated transaction value of $2.27B. That makes the average deal size in India stand at $11.3mn, far lower than that of mature startup ecosystems such as Israel ($113mn) and the US ($57mn). Furthermore, there’s a substantial difference in value between inbound and domestic transactions. Inbound M&A transactions (M&A by global acquirers) average $21.1M versus domestic deals that average $8.4M. Therefore domestic transactions may account for the lion share (72%) of M&A activity by volume (largely driven by the Indian ‘Unicorns’ including Flipkart, Snapdeal, OlaCabs) but a much smaller share (51%) by value. From a sector perspective, there seems to be a clear trend emerging where the majority of M&A transactions and transaction values of B2B software companies is cross-border in nature, while domestic transactions account for the bulk of transaction value and volume for Internet & Consumer and E-Commerce deals. From a funding perspective, VC/PE investments in India have hit an all-time high in 2014. Funding in the E-commerce and Consumer Internet markets have grown 38x from 2010-2014. $4.2B was invested in this space 2014 alone, with the two main companies (Flipkart & Snapdeal) accounting for > 50% of the Indian internet investment dollars. Investments in B2B software are also showing an upward trend. With a fear of missing out, hedge funds & private equity funds are investing in ‘new’ Series B ($10-25mn) and Series C & D ($20-250m) onwards, fueling a frenzy in valuations. Prior to 2014, it would take startups at least 1-2 years to raise series B and C funds. In the last 12 months, this has dropped by half with companies reaching this mark in less than a year. The report indicates that a generation of entrepreneurs is coming up in India, looking to build deep-tech companies in the country. Where B2B software companies are aiming at serving the global market, the Internet & E-commerce businesses are focusing on India. These are vision-driven and are focused on creating a market differentiator rather than “selling-out” early. These entrepreneurs are also likely to be angel investors and help other startups succeed, in parallel to running their own firms. The report also highlights two key challenges that Indian entrepreneurs and startups face: Discovery & Readiness. Most startups are not on the radar of the large global tech companies either for business engagements or investment, which in turn reduces their chances of going through an acquisition. iSPIRT’s M&A Connect Program is solving this problem via targeted connects between US and Indian tech companies with specific technology gaps, and exciting India startups who can fill these gaps. Finally, the report makes some interesting predictions for M&A and investments in India in 2015. M&A activity will continue to accelerate. Domestic transactions will dominate E-Commerce and Consumer Internet, with large Indian “Unicorns” will aggressively make strategic acquisitions to enhance market dominance and strengthen strategic growth areas such as: mobile, data & analytics and payments etc. Cross-border M&A will dominate B2B / Enterprise Software transactions. Acqui-Hires will continue to be a critical focus for US and India acquirers. Areas of interest include iOS &Android engineers and Machine Learning/Data Science experts, whose demand is rapidly growing. Finally, from an investment perspective, E-Commerce and Consumer Internet sectors will continue to be hot into 2015. Internet of Things [IOT] will also receive significant interest from VCs. Seems like the market is hot and there’s a lot of activity predicted for 2015. Exciting times ahead… Stay tuned! We created iSPIRT as a non-profit think tank with the aim of accelerating the software product eco-system in India. Since our inception in 2013, iSPIRT has focused on solving tough problems that will foster software product companies in India. Making M&A happen is one such problem. iSPIRT’s M&A Connect Program has made a big difference there. The last one-year has changed that perception of India as just a software services destination, and we have now generated early but enthusiastic interest in the international markets for our software products. Some of that change in outlook started becoming apparent when, in January 2014, Facebook acquired Little Eye Labs, a Bangalore based startup that develops performance analysis and monitoring tools for mobile app. This was followed by Yahoo’s acquisition of Bookpad, whose document-viewing product is similar to Google Docs. The latest in the series of acquisitions is that of ZipDial (a mobile and analytics company) by Twitter. Some of these acquisitions, which got significant media attention in the startup eco-system, will hopefully encourage more entrepreneurs to think products. Another problem, which is equally hard, is to do with getting quality access to big-name CIOs in US. InTech50 address this issue. It is a one-of-a-kind forum where shortlisted software product companies get an opportunity to showcase and interact with some of the most influential CIOs from India and other parts of the world. This unique platform is a springboard that provides software product companies a connect with potential customers, investors, partners and influencers – that they would otherwise find it difficult to access, and certainly impossible to access over a 2-day period. 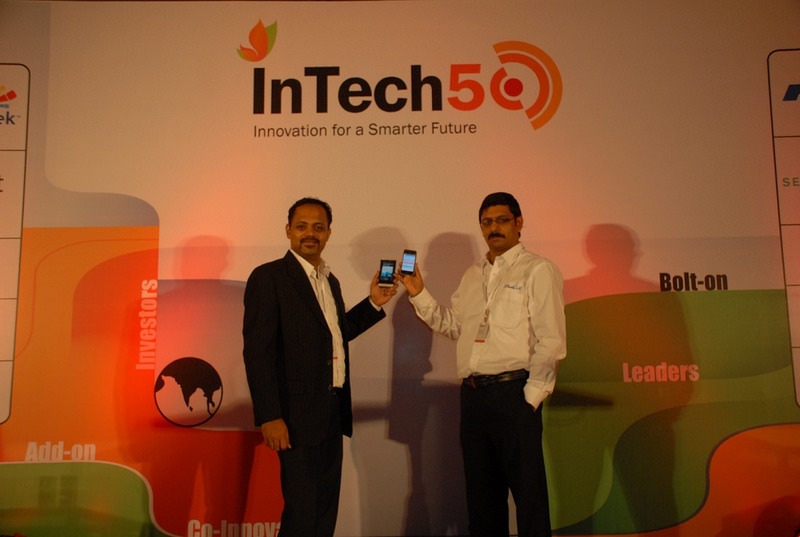 InTech50 – a collaboration between iSPIRT and Terrene Global Leadership Network – serves as a platform for recognizing the most promising software products by entrepreneurs in India. After a thorough screening of applications, 50 innovative technology startups from the software product space are shortlisted to interact face-to-face with a panel of renowned CIOs and investors from across the globe. Through their close interaction with them, these startups gain valuable insights, which can facilitate them in scaling up globally. The event, scheduled for April 15-16th 2015, is our 2nd edition. In our inaugural InTech50 event last year, we curated some high-potential companies. The audience of CIOs and other stakeholders took note. They now recognize that India is on the cusp of becoming a product nation. InTech50 is the only forum of its kind where startups can get unparalled access to top global CIOs and investors, closely interact with them and showcase their products extensively with the end goal of closing deals. The best part is that CIOs from across the globe will assemble right here in India with the sole objective of finding interesting software product companies that they can engage with. Though the applications for InTech50 are closed, if you are convinced about your product and feel that it deserves every chance to be showcased at the event, you have ONE LAST CHANCE TO APPLY by getting one of the Fellows, Founder or Product Circle Donor at iSPIRT to recommend you. (You can view the list of iSPIRT Fellows). If you are shortlisted, do work with Mentor Panels and Business Catalysts, to prepare your pitch, and interact with our team and past participants to understand how to best leverage this unique opportunity. Take a look at our illustrious panel of Business Catalysts here. NRK Raman, Co-Founder of iFlex (instrumental in its acquisition by Oracle for a whopping USD 909 million in 2005), is driving our effrots to help product companies sharpen their pitch and presentation. With InTech50, you have everything you need to GO BIG, right here, on a platter – the right connections, the requisite support and everything else that you’ll need in the process. Watch this space. India is on its way to becoming a Product Nation. M&A activity in the Indian startup ecosystem has, for a long time, remained fairly nascent. Relatively small exits, averaging $10-15M, are commonplace in India. But things are changing, and with India being the third largest startup ecosystem in the world, Silicon Valley giants are beginning to pay more heed to the entrepreneurs and IP emerging from India. On January 23, 2015, the iSPIRT M&A Connect Program hosted a Corp. Dev. and M&A Roundtable in Palo Alto. Attendees included corporate development, M&A and senior business unit folks from several key companies including Google, Yahoo, Twitter, Cisco, Intel, Box, LinkedIn, Intuit, etc. the event was coordinated by Sanat Rao (Partner, iSPIRT) and Roxna Irani (Associate, iSPIRT). Visible benefits when the target is a US entity. Given legal complexities, the difference in time and effort to close a deal with a US acquirer can vary substantially based on the legal domicile of the company. Recurring piece of advice of new startups is to register as a Delaware C-Corp.
Acquisitions in India take time. Beyond geographic complexities, there are a couple of other reasons responsible. For one, communication can sometimes be ‘lost-in-translation’, so legal agreements with an Indian and a US counsel, with different laws and legal terminology, can often demand more fine-tuning than normal. Other times, key stakeholders may require more engagement and disclosure that demands resources. Whatever the reason, the general idea is to expect, and actively manage, longer cycles. Acquirer confidence in the core leadership of a startup is crucial. Acquirers often expect a strong management team to hire equally strong employees, so they see high quality leadership as a validation of high quality team and product. This is especially true in the case of Indian startups. Acquirers are looking for guidance on how to traverse the Indian ecosystem. India is a new market for a lot of overseas acquirers. A recurring request was for a “playbook” that would highlight the process and differences of doing an acquisition in India. This would include items as simple as list of top colleges in India to give acquirers context of pedigree, to employee attitude towards compensation (cash vs. equity breakdown), to examples of standardized termsheet terms and details. 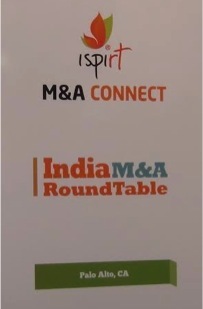 The iSPIRT M&A RoundTable started 2015 with a bang. The year will be a pivotal one for tech startups in India and the iSPIRT M&A Connect Program is excited to accelerate the pace of change. With all the “Virtual Mandates” received from the Silicon Valley companies, we will make carefully targeted introductions to the Business Exchange Associates. And with a higher quality of interactions, we hope to make much a larger impact to corporates and startups alike.. Exciting times ahead… stay tuned! Couple of key points that emerged during recent acquisition of startups have been issues related to structuring of the company. Anil Advani of Inventus Law walked us through these issues in a roundtable organized by iSPIRT M & A connect program at the Microsoft Accelerator venue. Many key aspects such as taxation (especially in the context of Singapore), seed funding, liabilities, ease of the process, ESOP and stock plans need to be considered, while deciding the location of incorporation . If you are a fresh company starting out and your scope is global, it is a no-brainer. Just go ahead create a US entity (Delaware C-Corp) with a fully owned Indian subsidiary. The only companies who shld consider Singapore are those looking only at the India / South-East Asia market. If there is formal IP ownership in India, it gets more complex and several factors need to be considered before deciding to flip. 1) How many people are needed to register a company. 2) Do you need a US citizen to register in the US ? Answer: No. A Social Security Number and bank account is needed and that can be obtained very easily in short time. Answer: Under 500 dollars from a US bank account with the money earned in US. There are legal processes to make this happen. This blog is too small to cover details and I would encourage folks to contact Sanat Rao, Partner (M&A) from iSPIRT for further details of company structuring. iSPIRT Open Ecosystem Questions(OEQ) Series. The conversation around this exciting session was lead by Sanat Rao (iSPIRT) and the speakers were Jay Pullur (Pramati Technologies), Sanjay Shah (Invensys Skelta), Pari Natarajan (Zinnov), Karthik Reddy (Blume Ventures) & Vijay Anand (The Startup Centre). Sanat initiated the conversation with an observation that it was only the bigger exits that are picked up by the media. Smaller exits do not get any media attention at all. , We all hear about the big bang “home runs”: WhatsApp sold for 19 billion USD to Facebook, Google acquires Nest for 3.2 billion USD, etc. However, studies show that 65% of VC funded companies in the US return 0-1x to their investors. Even among the remaining 35%, the exit valuations are relatively small: since 2010, the average M&A deal size in the US/Israel is 100 million USD. Only a small 0.1% of VC-funded companies are home runs (50X returns). And not just in India. In Israel too, from 2010-14, out of the 88 exits, two deals on Viber and Waze accounted for a whopping 25% of the total M & A value. Given these statistics, why do we promote the myth of a multi-billon $$ exit? Why don’t we recognize the value of these smaller exits? Should we not be promoting and helping product startups to find an exit at an earlier point in their lifecycle, rather than treating these exits as a worst case scenario? Jay Pullur, Founder of Pramati Technologies added that startups must understand and provide an exit plan to investors. Given the risks involved in investing in startups, it is natural for investors to expect lucrative returns. There is no point in them investing in startups, which are riskier investments, if the returns are as much as they would get from a bank Fixed Deposit. Given the fact that only a handful of companies can go public, M&A is an alternative to providing liquidity and exit to investors. M&A also allows employees with ESOPs to monetize their stock. Karthik Reddy, Managing Partner at Blume Ventures, pointed out that there is a consistency in all top-performing funds. However, the bizarre statistic is that only 4-5-6 companies deliver majority of the returns even in high-performing funds. “There is a classic conundrum that plays here – can you systematically look at reasonable sized exits or go for the homerun. The curse of the VC system is to play for the homerun”. He added, “At Blume, we look at things differently. For the right deals, we do consider smaller mergers and acquisitions. Though they do not move the needle significantly, it brings much needed cash back into play which we can either invest in other ventures or use that to provide follow-on capital to better performing ventures. Also, the talent gets absorbed in a big company or some of your own portfolio companies.” Karthik’s view is that as an investor, helping under-performing or weak companies find exits and placing the founders and teams with other companies creates a bond and relationship. I.e. when a strong team whose current company doesn’t do well and starts up again, they should consider the fund to invest in their new venture too. In an environment where good teams are hard to find, relationships built even during challenging circumstances can be a big asset. Karthik’s observation is that Indian buyers/acquirers are stingy and skeptical in buying assets. The panel also mentioned Paul Graham’s (of Y-combinator) view that for every big exit there are a multiple smaller exits. The smaller exits feed the bigger one. Sanjay Shah explained that he has had three exits – one was a small exit but it was a good exit since they have not raise external funds; the second one was a good exit but as they had raised a lot of money it was not very meaningful for the investors. However, the third one was very fulfilling. A rather small round of money was raised, and with very few members of the team they were able to create wealth for everyone, including the employees because of the value of the ESOP’s. Interestingly, three other companies were created with their old business, which revalidated the culture of entrepreneurship. Therefore, smaller exits are important as they have a multiplying effect. Sanjay mentioned that he himself is starting up again. Jay was asked the tricky question – when do we know when to exit? His reply was very simple – the entrepreneur and the investor – who are involved deepest, know it. They know that they are not in an airplane but a rocket J. You know when you are zooming; the market is opening up and you need more fuel in terms of capital… Or you know that it’s time for an exit. It becomes obvious. But, he also cautioned that sometimes this could go dangerously wrong. Just because you want to exit, doesn’t mean that you will get one! There may not be any current buyers, the market may have changed, there is competition etc – any of these can make an exit difficult. Pari Natarajan mentioned that acquirers want the key people to stay. All of the key people in a company, that gets acquired, are usually interviewed and then the decision of buying the company is taken. It is a wonderful thing for the ecosystem, as the team that gets acquired, gets the advantage of money and the experience of a larger organization. Therefore, they could scale faster than otherwise. Therefore, smaller exits are very important. When your basic needs are taken care of (like a house, car and education for your kids) you can aspire for bigger goals. Vijay Anand, of The Startup Center – raised an interesting point – India, unusually focuses on US acquires. There seems to be a pedigree attached to being acquired by a US company, even though the valuation maybe lower. He pointed out that the downside of being acquired by a US company is that we are shipping the IP and talent abroad. This was an area of concern not from a patriotic point of view, but for the long-term ecosystem-building perspective. Sanjay suggested that one of the ways Indian companies can look at buying smaller startups is by having a business relationship with them. Networking within the ecosystem is important. However, the panel unanimously agreed that companies should not be created for exits, but for value addition to the customer. However, exits are important – both for the entrepreneur and employees. A good exit builds risk capital in the ecosystem. 2013 was a hot year for Global Technology M&A: 204 announced Tech M&A deals took place at an overall valuation of ~$100B, of which 70% were pure software companies. Thanks to a strong stock market, 51 Tech IPOs took place in 2013. The story for the India software product industry has been different. Despite huge innovation and rising entrepreneurship, most Indian product companies have lacked meaningful exits. Last Friday, I hosted the M&A Panel at Microsoft Think Next in Bangalore, with a very interesting setup: 2 VCs, 2 entrepreneurs and 2 Corp Development folks from MNCs. The theme of the discussion was “The way forward for M&A for the Software products out of India”. Our star panel consisted of Ashish Gupta (Helion Ventures), Bharti Jacob (Seedfund), Ken Foo (Autodesk), Prashant Gupta (Microsoft), Sanjay Shah (Invensys Skelta) & Phani Sama (Redbus). We had a marquee audience of VCs from IDG, Lightspeed, Qualcomm, Inventus etc. who contributed their insights and really made the discussion lively! – “Discovery” continues to be problem #1 for India software product companies. Most Indian startups don’t show up on the radar of the big US acquirers. Autodesk first discovered Qontext (their marquee acquisition in 2012) through analyst reports in the US, and didn’t know they were an India company until later in the process. – Corp development folks are mostly agnostic to the location of the company. As Ken Foo from Autodesk put it, “we don’t start our day thinking: today I will acquire an Israeli company … or an Indian company”. They are looking for a specific product or technology fit & location is secondary. – One interesting insight was the Investment bankers didn’t really seem to play a role during the discovery process, and all of the participants (buy side, VCs and entrepreneurs) felt that startups shouldn’t expect a banker to help with strategic engagements. iBanks do play an important role in helping negotiate the deal and running the process to a positive conclusion. – Acqui-hires (acquisitions with the sole intent of acquiring engineering talent) are extremely hot right now, due to the shortage of big data, analytics & android/iOS engineers. Obviously, VC investors are less excited about acquihires & view them as a “last option”. As Ashish put it, a VC will entertain an acquihire deal only when he believes that scaling the company is no longer possible, and the company is in danger of running out of cash. On the other hand, Corp development folks at the MNCs view acquihires as a ‘badge of pedigree’ for the founders! – Entrepreneur readiness continues to be a challenge during the M&A process. Indian entrepreneurs traditionally are techies and don’t spend time building a clear differentiation story or preparing themselves for organizational and financial diligence. iSPIRT does offer an “M&A hotline” to entrepreneurs where we formally provide advice in the event of an inbound M&A interest. – Future M&A: Based on the “Virtual Mandates” that iSPIRT has received, we believe that future technology M&A is likely to happen in the areas of Machine Learning & Analytics, SaaS disruptions like HR and Recruiting, Cloud Infrastructure & Mobility. Companies that have aggregated large groups of customers & partners within India (small medium businesses, classifieds, consumers for finance etc.) are also interesting for acquirers. I enjoyed the frank conversation & clear thinking from the panelists, and left with a huge amount of learning and ideas that I will use to guide iSPIRT’s M&A connect program. 2013 was one of the most prolific years for M&A worldwide with 3169 acquisitions taking place across the globe. India had its own share of successes with RedBus, Little Eye Labs etc. going through acquisitions. However, in general, relatively few Indian startups figure on the list of acquisitions. 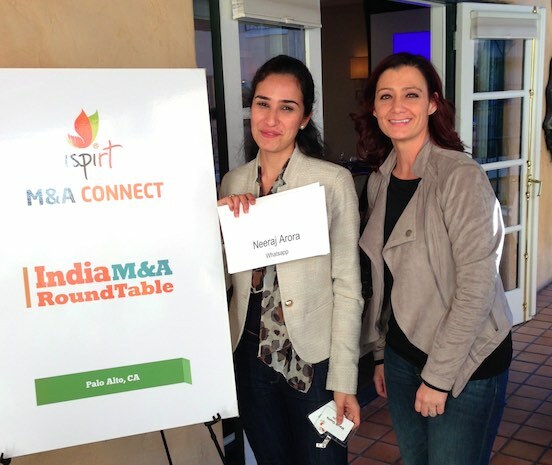 Last week, I hosted an iSPIRT M&A Roundtable in Palo Alto along with Jay Pullur. Attendees included corporate development, M&A and senior business unit folks from several key companies including Google, Microsoft, Intel, Qualcomm, Groupon, Intuit, Box, VMware, Cadence, Docomo, LG, etc. Manik Gupta (Global Product Manager – Google Maps) kicked off the Roundtable with a discussion around Google’s experiences with various acquisitions in the mapping space, both within the US and in Israel. We also had a good discussion on how to bring Indian startups into the mix. Indian product startups, unlike Israeli startups, are just not on the radar of US acquirers. This means that our efforts to improve ‘Discovery‘ are well timed and badly needed. Acqui-hires are extremely hot right now. Almost every company is short of engineers. Mobile, Cloud, Big Data, Analytics etc. are all in big demand! However entrepreneur preparedness in Indian startups is low. Please use our hotline to get ready in you are approached. Almost all acquisitions have a strong BU sponsor. Business engagements are a stepping stone to future M&A. Acquirers are asking iSPIRT to expedite its ‘playbook‘ that articulates the process of doing an acquisition in India. iSPIRT now has a good number of ‘Virtual Mandates” from the Silicon Valley companies. We are using these to make carefully targeted introductions to Business Exchange Associates.